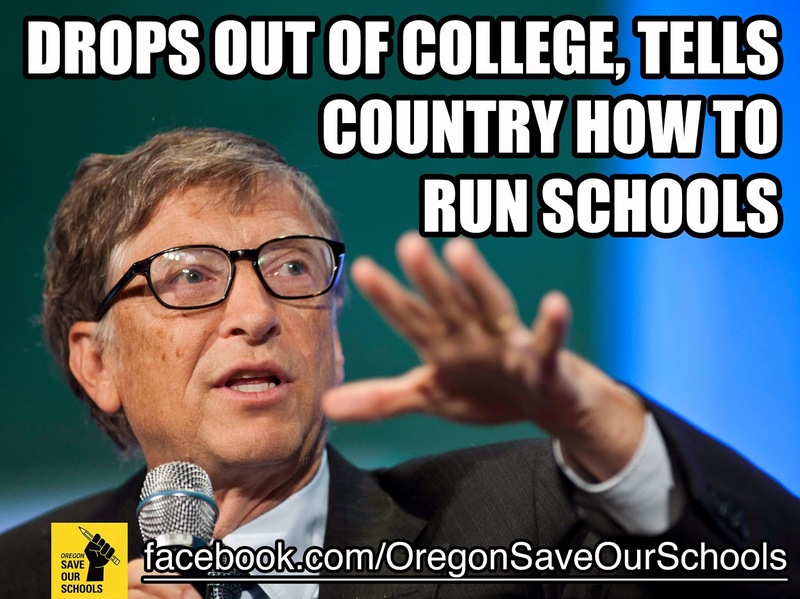 Our Schools Need Moratoriums on Common Core & High-Stakes Testing! The Common Core State Standards package is the linchpin of a mechanism to sell policies, high-stakes tests such as Oregon’s Smarter Balanced Assessment, confidential student data, and other practices that pose immediate harm for a whole generation of our children, public education, and democracy. We need to stop the Common Core from doing more damage. Do not be fooled. The Common Core State Standards (CCSS) package is sold falsely as a “state” effort to achieve equal educational opportunities and assure that all U.S. students can compete globally. In reality, the CCSS package nationally centralizes education policy to serve the interests of an elite group of rich and powerful people. The CCSS sales effort threatens the real source of success and innovation in the U.S. - a decentralized system of school governance responsive to local needs and priorities. 1. It is based on a false corporate media narrative about “failing” public education. 2. The standards are unfounded, untested, and often developmentally inappropriate. 3. These falsely labeled “state” standards are nationally mandated for federal waivers and Race To The Top grants, and copyrighted to assure uniform application. 4. It was “adopted” in Oregon without real public input or analysis of whether it was an improvement over the previous Oregon standards. 5. It doubles-down on more than a decade of failed corporate education reforms, such as test-driven accountability (like Oregon’s upcoming Smarter Balanced Assessment), that have already caused collateral damage to schools and tapped school budgets; especially schools serving kids with the greatest needs. 6. It diverts attention from the factors affecting student achievement -- poverty and income inequality – and wrongly blames teachers for national economic issues. 7. It imposes a national curriculum, which the federal government is banned from doing, and preempts local control of schools to expand lucrative national markets for testing companies, education technologies, and pre-packaged curriculum kits. 8. The associated "longitudinal database” systems sold along with CCSS to deliver “personalized learning” mean tracking keystrokes along a “curriculum continuum” and compiling personal student data profiles of our kids’ interests, beliefs, and behaviors to be stored and sold away from parental, student, or school control. 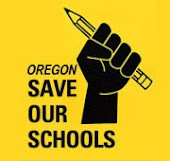 Oregon Save Our Schools calls for a moratorium on CCSS implementation, and urges fellow citizens to act to put the public back in public education.